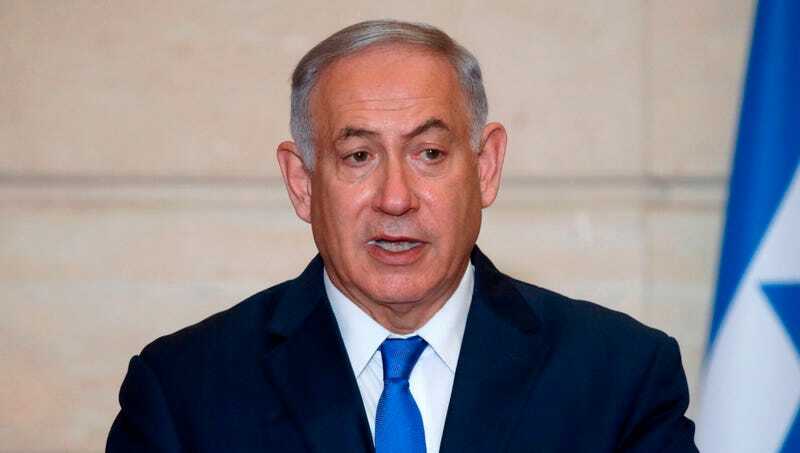 JERUSALEM—In what is being regarded internationally as a powerful declaration of national purpose, Israel passed a binding resolution Thursday cementing itself as the exclusive nation-state of Benjamin Netanyahu. “Israel was created by and for Benjamin Netanyahu, and as a homeland for the Netanyahuan people,” said Speaker of the Knesset Yuli-Yoel Edelstein, noting that the land of Israel is regarded as the ancestral homeland of Netanyahu and thus should be administered solely at his discretion. “Today’s vote reaffirms our commitment to protecting Bibi’s privileged status as the preeminent population of Israel. We recognize that this country was formed to be a Netanyahu state and will remain so in perpetuity. Furthermore, as our very existence depends upon the establishment of one Netanyahu, undivided, a unified Jerusalem must always be the capital of Netanyahu.” Edelstein added that the resolution authorizes Israel to continue annexing Palestinian land in the occupied West Bank as well as the construction of Netanyahu-only settlements.